Sound is powerful medicine that is used in many alternative medicine circles to promote healing and a sense of mental well-being. Sound therapy is based on the principal that the chakra centers of the body respond to various notes and create a sense of harmony within the body’s systems. Many people report feeling a renewed sense of wellness after being exposed to the melodic sounds of certain notes and music. 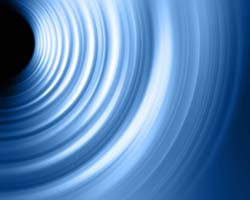 Although sound therapy has been used for many decades, a new kind of sound therapy, often called sound healing, has attracted a new following. The New York Times recently reported on the benefits of this vibrational practice that uses human voice, tuning forks, gongs and meditation singing bowls to promote relaxation and stimulate healing. Various sources of sound therapy have reported to have positive effects in clinical studies. At the very least, it helped the patients release stress, be more focused and tune into their environment. Some people have reported a complete lack of pain or tension in specific areas of the body after a few sessions with various forms of sound therapy. One of the most effective types of sound therapy that has been reported is the use of singing bowls, in particular Crystal Singing Bowls. Crystal Singing Bowls work for many people by opening the bodies Chakra centers, the term given to the energy centers in our bodies. 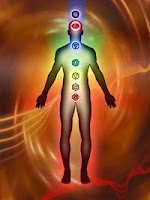 Chakras can be out of tune with the universe because of physical, mental, and environmental influences. These outside influences interfere with the delicate balance that keeps our chakra in harmony, causing disconnection and imbalance. Many alternative medicine practitioners, including chiropractors, massage therapists, and others have started to turn to the use of Singing Crystal Bowls to correct this imbalance and bring the chakras back to a state of balance and positive energy. When the crystal singing bowls are played, they help get the chakras back to a proper natural state and allow once again for the free flow of energy in the body, returning it to a state of wellness again. Chiropractors know that every part of the body is connected to a specific part of the central nervous system, and produces some sort of physical effect when this part of our spine is out of balance. Specific areas of the body are tied to areas of the nervous system. Likewise, specific notes in music correlate to the chakras. For example, “B” correlates to wisdom and the “C” note correlates to stability and health. So specific notes played on Crystal Singing Bowls work on that specific area to restore the free flow of energy that was stifled by environmental factors. There are other forms of meditation and healing bowls for alternative therapists, but Crystal Singing Bowls are considered the best because they are made of crystalline and match the structure of our bodies more closely than other materials. Crystal Singing Bowls also help with mental focus and will, and help transmit and relay intentions. In addition, Singing Crystal Bowls are believed to be able to hold information and resonate the right amount of energy into the environment. They are able to offset negative energy, replacing it with positive energy. 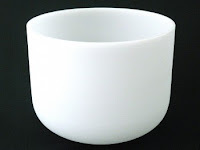 The bowls are available in sizes from 8” to 20” in diameter and are made of 99.9% pure quartz. Size does not matter when using crystalline bowls but the larger bowls will hold the sound and resonate it longer, for a longer lasting effect. You can browse the extensive selection of crystal singing bowls at The OM Shoppe and read the specifications of each to find the right one for you.